Twitter and its micro-blogging format have not only changed the social networking landscape, it has also made a huge impact on the way in which we can interact with customers and attract new customers to our businesses. You should view your Twitter followers as a marketing database of very high value; each of your followers have 'opted in' to this database because they are interested in what you have to offer. 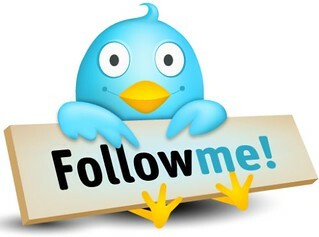 By growing the number of people that are following your tweets, you are expanding the reach of your business. Letting your Twitter followers grow organically can work depending on the other marketing strategies you are implementing, but it will be slow. There are a few simple techniques that you can use in order to give your follower numbers a boost. Each of your networks should be linking to one another. The way you interact on Facebook is different to the way in which you will utilise Twitter. You don't want your Facebook contacts to miss out on the marketing strategies that you will be implementing within the Twitter space. It is important that you talk about your Twitter feed on all of your social networking profiles, blogs and web-sites. Post links and get people interested in what you have to say. Many Twitter users automatically follow their followers, so get to following people within similar fields. You'll find that this will gain you a few followers fairly instantly, but more importantly it will allow you to view their content within your feed. This gives you something to talk about. Get involved and interact with the people you are following - creating relationships in the online space within a market that interests you is what Twitter is all about. People tend to 'unfollow' people for two reasons; they aren't interested in what you have to say, or you're not saying anything. If you lose a follower because they are uninspired by your tweets, that's okay. It allows you to maintain the quality of your database - remember you are targeting those that are interested in your market. However, if you lose followers because you are not tweeting at all, then you are missing out on opportunities to interact with you current and potential customers. It is important to note the peak times within your own feed. If your market is active at 7.00 a.m., then that is when you should also be tweeting. Think of it as prime time TV and post your most engaging content during these periods. When posting a link on Twitter you should use bit.ly to shorten your link; not only does it cut down the number of characters you use, it also allows you free access to the traffic data you receive. By monitoring how many clicks that each of your links receive you can build a picture of what drives your followers. This allows you to provide more of the same in the future and get an insight into your consumers behaviour. Key figures within any field tend to have large numbers of followers. By talking about (and '@ing' that person in) you are increasing your chances of exposing your brand to their followers. If they like/dislike what you are saying, they may well RT (re-tweet) your comment. This tweet will then be directly sent to all of their followers and you will reach a whole new database. Whilst RT's are important, you won't achieve it every time you '@' someone. However, you will reach that specific individual and make them aware of you and your business. Most influential tweeters are often searching to see what is being said about them so even if you don't '@' them they may well come across your tweet in the process so be aware of everything you tweet. Do the same thing that we have just discussed the key figures doing. Search for yourself and your company on Twitter (without the '@' as these are fed to you) and get involved in the conversation. One of the best things about Twitter is that it allows for great CRM, indulge in it and monitor your online reputation. Also search for keywords related to your market and engage in conversation with people around areas of mutual interest. This will raise brand awareness as well as gaining you followers. So if you're looking for online marketing services for your business, be sure to get in touch with Art Division! Great article, thank you for the tips.